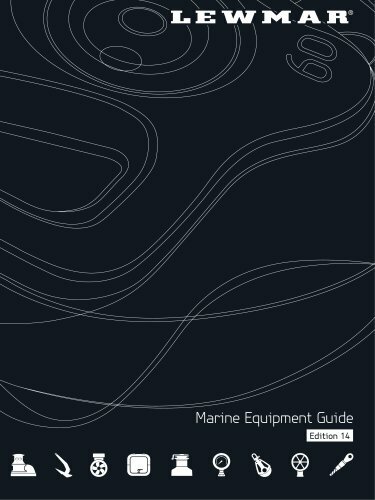 Lewmar’s TotalCote is the new go-to product for almost any marine maintenance requirement. TotalCote protects, displaces, cleans, seals, penetrates and lubricates. Use it on everything from seized bolts to your block and traveller car ball bearings to your luff groove. TotalCote will reduce friction and offer a long-term barrier against rust and corrosion. Formulated solely from naturally occurring products, TotalCote is incredibly effective yet safe to the environment and sensitive marine eco-systems. Part Number : 19701700 (box of 12) Single cans available at your local retailer. At Lewmar, we think about what makes boaters’ lives easier, and bring those ideas to life in our products. We aim to relieve the aching muscles that often come with anchoring and give you more confidence when docking. That’s why each windlass we bring to the market is made of the finest quality materials and engineered for excellence.